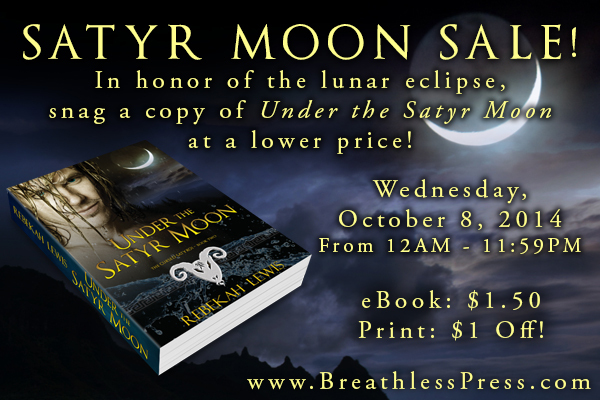 In honor of today’s lunar eclipse, Breathless Press has agreed to put Under the Satyr Moon on sale. Celebrate today’s Satyr Moon with Under the Satyr Moon! This sale is only available on the BP website and lasts from 12AM to 11:59PM today.